Join your friends and make new ones while playing the latest in board and video games. You may kick up a role playing game, watch a movie or just put some of your favorite u-tube videos up in our movie room. 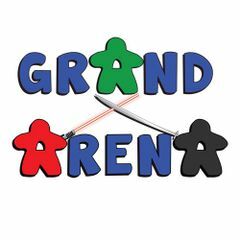 As always Grand Arena provides soda, juice, water along with a wide variety of snacks including frozen treats and microwaveable food complimentary to its members while they play. Clean safe environment: NO alcohol, tobacco, drugs or gambling allowed in the facility. Grand Arena is a private club that requires an entrance fee. The club is restricted entry so only members who have paid admission can enter.